Sir Martin Sorrell has admitted WPP is facing both cyclical and structural pressures and has cut its long-term earnings growth target, sending the shares down as much as 14%. 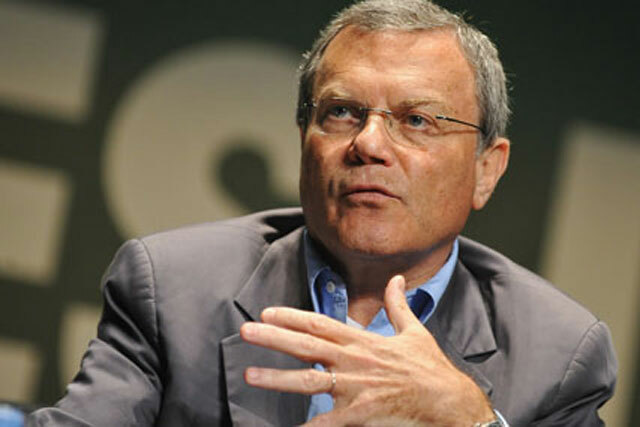 Sorrell said "the traditional creative business is where the pressure is" and it is "less" on the media agencies. The WPP chief executive told investors he is "embarrassed" that the group missed revenue forecasts in the last three quarters of 2017. The group posted weak annual results, including a 0.9% drop in net sales (revenues, less pass-through costs), and warned of a slow start to 2018 with net sales falling 1.2% in January. WPP is expecting flat revenue and flat profit margin growth in 2018. The group has previously had a long-term target of earnings per share growth of 10% to 15% annually but has now reduced that to 5% to 10%. The world’s biggest ad group saw its shares fall below £12 – the lowest level since autumn 2014 – before recovering slightly. Sorrell was cautious when asked if the agency model is facing structural pressures. "You’ve seen enough announcements about what is happening to agency costs to know there are pressures in the system," Sorrell said, without naming specific clients because it would be "invidious" to name them and they don’t want to be identified. However, it is well known that Procter & Gamble and Unilever have both cut the number of agencies they use and production fees across the ad industry. He said later during his investor presentation: "There’s got to be some cyclical stuff and some structural stuff." Other big ad groups have talked about a stronger second half of the year in 2018 but Sorrell did not want to be too optimistic in his forecasts. "I think it’s once bitten, twice shy," he said, acknowledging his previous over-optimism. Paul Richardson, WPP's finance director, added: "One of the businesses we do see significant pick-up is the media business." There has been talk of a "Mediapalooza 2" with a string of media reviews, including HSBC, Shell and Mars, but Sorrell said: "On Mediapalooza, I don’t think it’s enormously stronger than we’ve seen on a consistent basis [over the last few years]." WPP has been merging many of its agencies to simplify the group and save money. "This is probably the most aggressive we’ve been," Sorrell said, comparing WPP’s restructuring in response to the slowdown to how the group coped with previous slumps in 1990-91, 2000 and 2008-9. WPP slashed its net acquisition spend – the amount it spent on acquiring agencies, less disposals – to £30m in 2017, from £605m a year earlier, in another sign it is being prudent. Investment bank analysts cut their share price forecasts for WPP after its lower profit expectations. Brian Wieser, analyst at Pivotal Research Group, said WPP and other agency groups still have strengths. "Over longer time horizons, it should never be all doom and gloom for agencies," he said. "They continue to contain vast networks of entrepreneurial individuals, most of whom are capable of continuously finding new ways to generate revenue." It is the second time in barely six months that investors have reacted badly to WPP’s earnings. The group suffered a 12% plunge in its shares in August 2017.
Who are WPP's board of directors? Is Marc Pritchard right to say that agencies should strip away anything that doesn't add to creative output? Will WPP's 'simplification' process limit advertiser choice? Should ad agencies reappraise their approach to corporate entertainment?